This is a great suspense fantasy written by a lady who really knows the sea. Wonderful story. Re-blogged from Ch’kara! 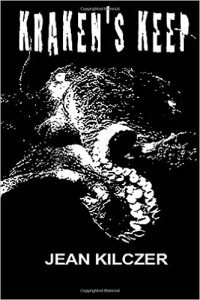 Here is the cover release for Kraken’s Keep. a monstrous underwater creature never before seen. The quest to study this dangerous deep-sea denizen throws Tess and Culley together with a crew of very different and fascinating characters, from Tess, who has a problem with long-term commitment, to Culley, a hero in disguise and the true leader of this quirky pack: to George, the brilliant scientist and compulsive eater, to Phil, with his harsh military mindset, to Mini, an African-American beauty who towers over the others and has a soft spot for short, pudgy George, to Captain Brad, whose boyfriend, Harley Davidson, back on shore, has a roaming eye for a nice tush, to religious Ramon. Writers In The Storm welcomes Eve Paludan. I first met Eve at a Desert Rose RWA meeting in Phoenix, AZ. First impression? A bubbly person who lugs around a very warm heart. 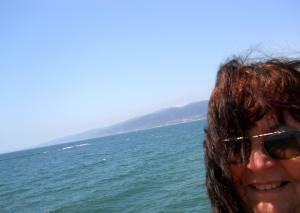 She now lives in Los Angeles, CA, where she writes fiction and edits for other bestselling authors. She enjoys reading mysteries, science fiction, and romances, especially paranormal romances, walking on the beach and learning scenic photography. Be sure to comment! Eve is giving away one of her e-books to one lucky commenter. Zodiac Traits – Write an Aries Character! Reblogging. I’m not personally into the signs and things, but… we’re always looking for characters and character traits… I never thought of using this method. Interesting. First chapter of an author friend’s new book. She writes some interesting fae fantasy. Lots of fun to read! 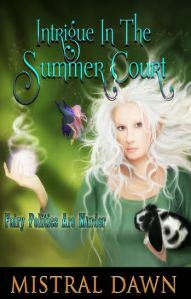 It is my pleasure to bring to you the New Release and First Chapter of Intrigue in the Summer Court by fellow author Mistral Dawn. This is a fabulous series and I look forward to reading this new book. Re-blogging from Ch’kara Silverwolf’s blog page. Some great romance stories! Today’s interview is with author Lyn Horner about her book Decoding Michaela. 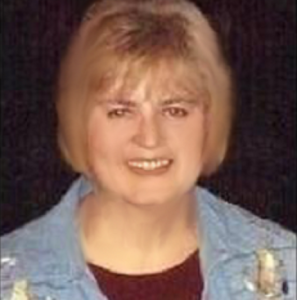 Short author bio: Lyn Horner resides in Fort Worth, Texas – “Where the West Begins” – with her husband and several very spoiled cats. Trained in the visual arts, Lyn worked as a fashion illustrator and art instructor before she took up writing. She loves crafting passionate love stories, both historical and contemporary. Lyn also enjoys reading, gardening, visiting with family and friends, and cuddling her furry, four-legged children. The author’s Texas Devlins series blends authentic Old West settings, steamy romance and a glimmer of the mysterious. This series has earned multiple awards and nominations, including Crowned Heart reviews and a Rone Award nomination from InD’Tale Magazine.